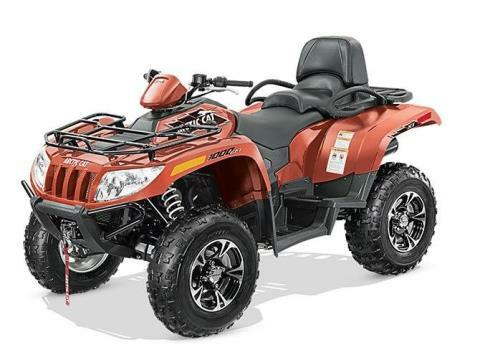 1000 H2 V-Twin 4-Stroke Engine w/EFI It loves to run in cold or hot weather. The 1000 H2 is a 951cc, SOHC, liquid-cooled 90° V-Twin with EFI. With features like a high-capacity radiator and thermostatically controlled cooling fan, you can count on EFI for cold weather starts and consistent fuel delivery in higher elevations. Maxxis 4-Speed Tires with Aluminum Wheels Radial construction and aggressive tread-pattern provides surefooted traction and excellent bump-absorption in all conditions. Lightweight construction minimizes steering effort for quicker response and better handling. Front / Rear Rack Capacity: 100 / 50 lbs.